This fearsome heavy artillery walker can damage 6 tiles simultaneously from 3 tiles away. 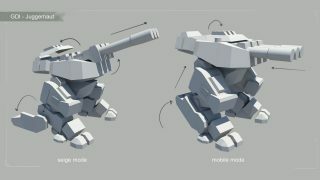 Combining the best of both worlds, the Juggernaut has two modes: mobile and artillery. Reach an ideal position in mobile mode and then shift into artillery mode to begin raining fire. 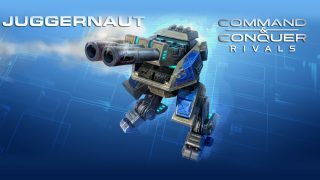 The Juggernaut’s triple cannons will allow it to blanket a large area with artillery fire from far behind the front lines. This awesome firepower is somewhat offset by the Juggernaut’s relatively light armor, long pre-fire setup time and its need to shift to a stationary artillery mode in order to attack. 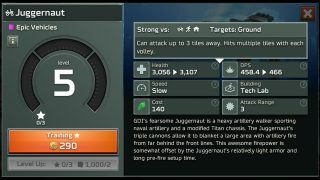 Deployment Tips: The Juggernaut is an extremely powerful unit, but it is susceptible to counterattacks. Pair it with defensive units with vision to protect it and spot enemies to decimate at maximum range. The Juggernaut’s weaknesses are light armor, low mobility and a minimum firing range (must fire from 3 tiles away). Send in fast units that can quickly close the gap and get inside the Juggernaut’s range — or else rely on anti-ground air units that the Juggernaut cannot attack. 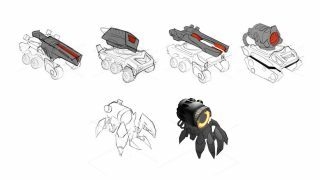 The Giga-Cannon’s charge-up beam can take down heavy enemy units and can split to hit multiple adjacent targets. It is the latest and most terrifying result of Nod’s research into directed energy weapons and AI systems. 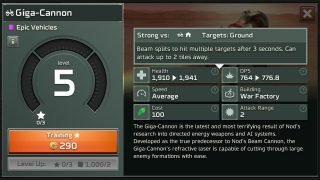 Developed as a successor to Nod’s Beam Cannon, the Giga-Cannon’s refractive laser is capable of cutting through large enemy formations with ease. 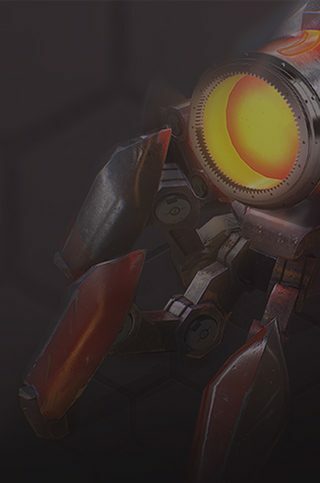 Deployment Tips: The Giga-Cannon’s refractive laser increases in power the longer it’s active and also splits to hit multiple enemies adjacent to its target. Nod field manuals recommend targeting tightly grouped enemy formations with larger targets (Mammoth Tanks, Titans, etc.) as the primary aim point. 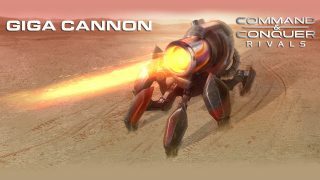 Giga-Cannon’s refractive laser gives it a great advantage when attacking groups of enemies bunched close together. When facing a Giga-Cannon, be aware of its laser and spread your units out. When closing in on a Giga-Cannon, try attacking from multiple directions to prevent it from hitting all of your units at once. Alternatively, use anti-ground air units since the Giga-Cannon can’t be aimed that high.